The briquettes are clean, compact, can be split by hand and create minimum levels of ash (typically less than 1%), so less cleaning up is needed. And they don’t leave that black soot on the glass door of your wood burner either. 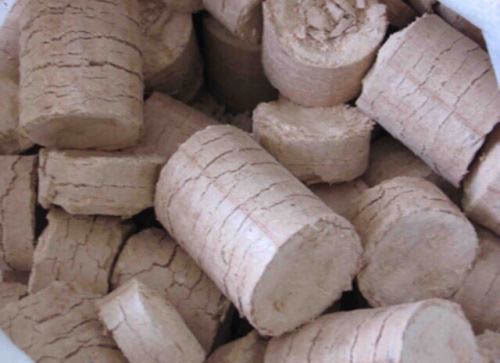 Many people don’t realise the saving they could be making by swapping their normal logs for wood briquettes or by using briquettes alongside their ordinary logs for added heat and efficiency. It’s still a fairly new option in the UK, but is well established in Scandinavia, a region which knows all about how to keep warm. We have some amazing offers and our briquettes can be collected from our workshop in Burgess Road or delivered free locally for orders of over 9 bags. With energy bills rising and the days getting colder, heating your home without breaking the bank is becoming a real issue. So it’s not surprising that more people are opting for open fires and woodburning stoves as a more economical – and green – alternative to turning on the central heating. And, of course, because nothing beats snuggling up in front of a real fire on a chilly day! With this in mind, Southampton-based Period Projects have produced a cost efficient and environmentally-friendly alternative to firewood. Burning briquettes in your fireplace or woodburner will not only help you save pennies, but help us all save the environment too. “It’s the dense, dry nature of the briquettes that also makes them very efficient. “There’s 2-3 times more heat energy in a briquette than an ordinary piece of firewood of equivalent mass.” Richard Rogers, Period Projects (Part of Old Pine Company). The briquettes can be used in open fires, woodburners, and even in BBQs! And the house proud among you will be pleased to discover how clean they are to store and handle. They burn cleanly too, leaving only minimum ash to clear up afterwards.